Your itinerary includes some good beach time at Stokes Beach and Island Beach. Discover out-of-the-way places like Kangaroo Island Wilderness Trail and Will's Rare Breeds Farm. Spend the 26th (Tue) exploring nature at Flinders Chase National Park. 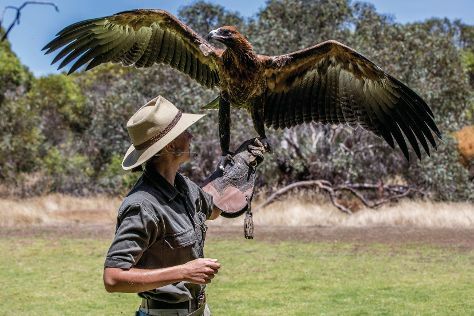 There's much more to do: look for all kinds of wild species at Raptor Domain, take in nature's colorful creations at Kangaroo Island Spirits, kick back and relax at Browns Beach, and learn about winemaking at The Islander Estate Vineyards. For other places to visit, maps, where to stay, and tourist information, go to the Kangaroo Island online trip maker . Finish up your sightseeing early on the 28th (Thu) so you can travel back home.